There are three buildings in our hotel. 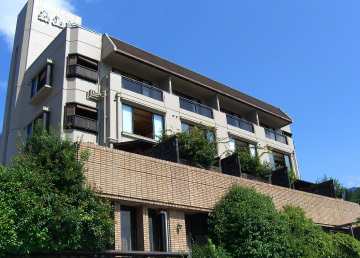 Sasara main building stands upon a tiny hill. 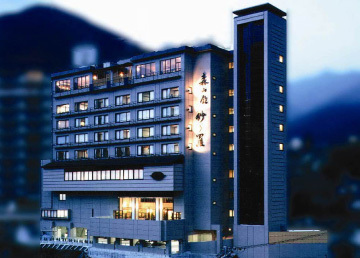 Elaborated Japanese style guest rooms and the large common bath command a panaromic view of the Gero Onsen region. Moriyama building is connected with Sasara building by the artistic underground access-way. Guest rooms command mountains and the rising sun, or simple and unaffected town of Gero. 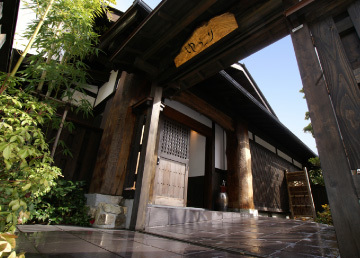 The Yurari luxury suite is located in a secluded annex on the hotel. Constructed using materials from old Japanese country houses, this is infused a hartwarming atmosphere. 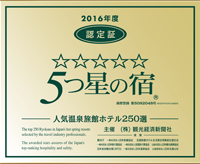 The top 250 Ryokans in Japan’s hot spring resorts selected by the travel industry professionals. 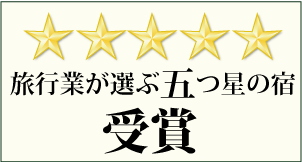 Sasara was awarded the Five-Star Hotel at the 28th year of Heisei (2016) by the Weekly Kankokeizai News.